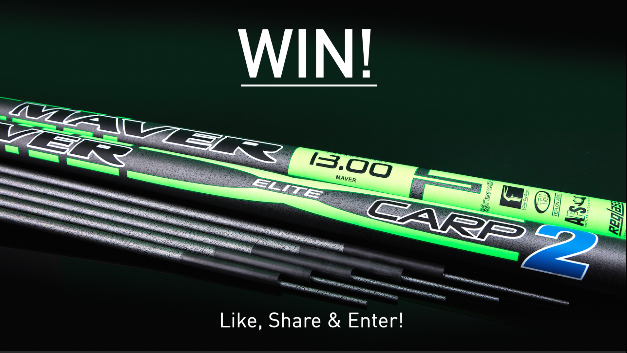 Home » Editorial • News » Win A Maver Elite Carp 2 Pole Package worth £1,599.99! Here’s your chance to win a brand new Maver Elite Carp 2 Pole Package worth £1,599.99! Suitable for all commercial carp fishing, but equally at home on lakes, rivers and canals, this is a superb all-rounder that can be fished up to 14.5m. It’s lighter and stiffer than the Elite Carp 1 and is made from high tensile 450/650 grade carbon. It comes supplied with five Powerlite slotted power kits and one cupping kit….all housed in a deluxe Maver Platinum 6-8 tube holdall. Entering is free and easy. Simply click here and leave your details. The winner will be picked at random and announced on the Anglers’ Net website and Facebook page. Terms and conditions apply. You can find them here. Congratulations to Paul Bates, who won a JRC bivvy in our last competition.